Cassandra O’Neill and Monica Brinkerhoff are the authors of Five Elements of Collective Leadership for Early Childhood Professionals (Redleaf Press, 2017). 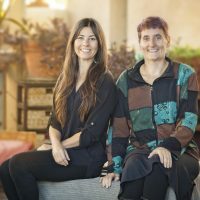 Cassandra is the founder and CEO of Leadership Alchemy, and Monica is the Director of Organizational and Employee Development for Child-Parent Centers, Inc. in Tucson, Arizona. Have you ever heard of collective leadership? It’s a new way of looking at leadership that is very different from traditional approaches. It’s a shift from thinking about leadership as something you do to or for others to something you do with others. We have developed a framework for collective leadership that has 5 elements and 11 practices, based on a foundation of building trust and addressing inequity. The elements are: shared vision and re-envisioning, wholeness, collective wisdom/intelligence, co-action, and evolution/emergence. When we think about effectively engaging students, families, or communities, we find it beneficial to use the framework of collective leadership. In more traditional approaches to engagement, a program or organization often develops an agenda and then seeks to convince others that they should go along with the pre-determined agenda. In collective leadership, the agenda, the work, the goals, are determined jointly by those involved in the work. This can be very different from traditional approaches. Are you thinking about trying to engage others in your idea or are you seeking to develop ideas together with others? Engage in reflection and application of learning (Element 5 Evolution/Emergence). How are you already doing these things? What is working well? What was a peak experience in facilitating Teen Science Cafés? A time you felt alive, excited, and engaged in your work with Teen Science Cafés? When you think about your aspirations, wishes, and dreams for collective leadership in your Teen Science Cafés, what comes to mind? How might you reflect on your answers to these questions? Another way to explore this concept with teens is to have paired discussions with them with each of you answering the questions above. You may be amazed at what you discover.